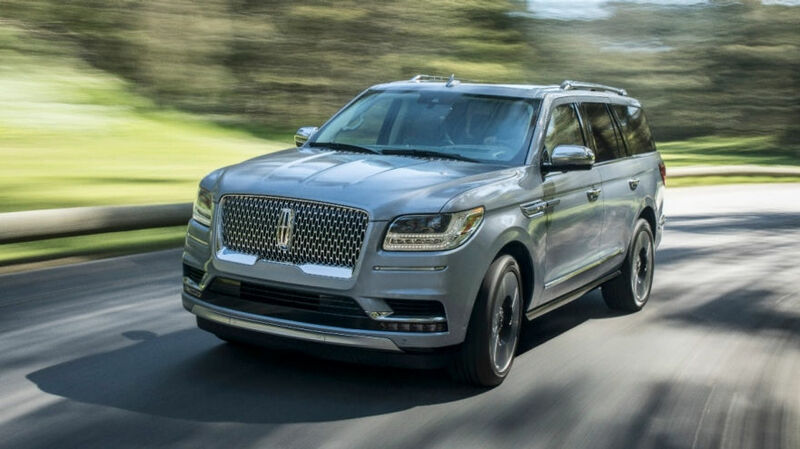 DETROIT, Jan. 15, 2018 – The all-new Lincoln Navigator has been named North American Truck of the Year, marking the first time a Lincoln vehicle has captured this prestigious honor, now in its 24th year. The 2018 Lincoln Navigator took the honors over the Chevrolet Colorado ZR2 and all-new Ford Expedition to win the award presented today at the 2018 North American International Auto Show. North American Car, Truck and Utility of the Year awards are based on innovation, design, safety, handling, driver satisfaction and value. Nearly 60 veteran journalists from the United States and Canada vote for the vehicles, which must be all-new or substantially changed from the previous model to qualify. Navigator is Lincoln’s flagship SUV, combining modern luxury with advanced technology to elevate family travel to first-class. A modern design turns heads, while Navigator’s smooth power helps families move confidently along the road. A luxurious, spacious interior allows first-class seating for everyone aboard, with 10 power outlets to keep all passengers charged and connected. The refined capability of the all-new Navigator is unmatched. It’s powered by a twin-turbocharged 3.5-liter V6 engine that delivers 450 horsepower and 510 lb.-ft. of torque, and offers the most towing capability in its class – up to 8,700 pounds. The 2018 Navigator offers all-new Lincoln drive mode technology, an advanced system that allows owners to adjust the vehicle to make driving easier and more enjoyable in any weather or terrain with the twist of a knob. An all-new head-up display is customizable to complement the 12.3-inch digital cluster – incorporating the same groundbreaking digital light processing technology used in movie theaters. The all-new Lincoln Navigator is available in dealerships now. Copyright © NAPA Barron Service Parts 2017. Designed by Otey White & Associates.